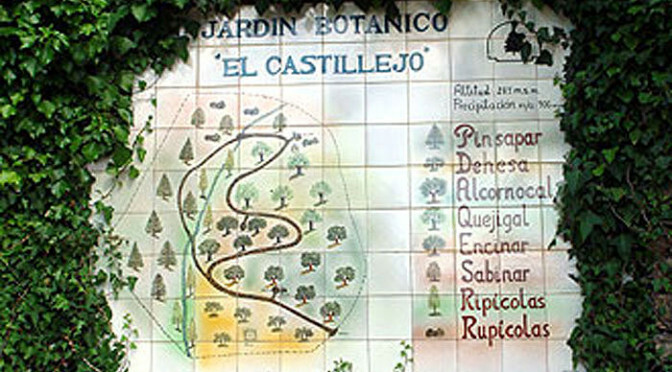 Regular visits to the Botanic Garden in the village of El Bosque are a great way to see the plants of the region as they change through the seasons – without having to search them out individually!There is so much of botanical interest in south western Andalucia and particularly within the natural park areas. 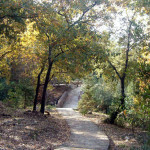 The village of El Bosque is on the western border of the Sierra de Grazalema Natural Park. 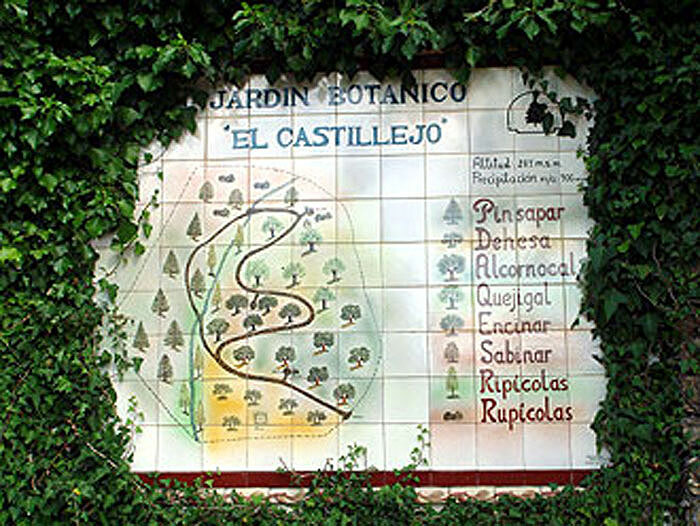 The botanic garden has a wide selection of local plants, including rarities and local endemics. Common place European trees and Mediterranean shrubs form the backbone to this hillside site and a meandering stone paved path leads you through different eco-systems. 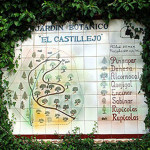 During a nature walking week with Wildside Holidays a visit to the botanic garden is included. 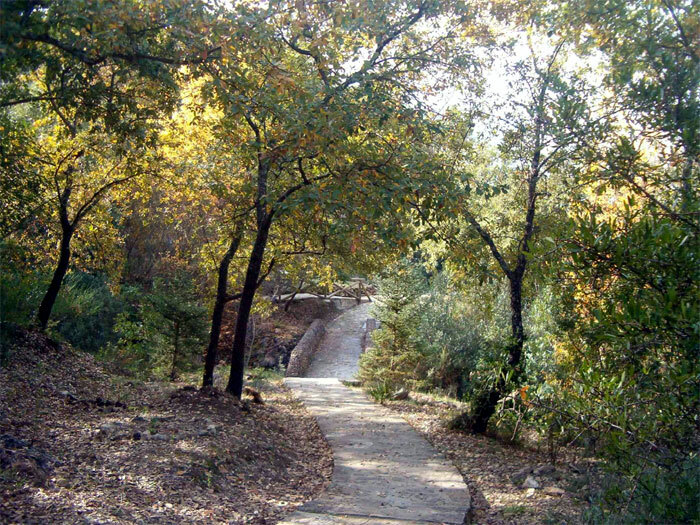 Admission is free and the paths are well maintained plus there are several well placed benches where you can enjoy the surroundings. The entrance, office and toilet facilities are at the lowest point. From here the arrows lead you upwards, which will be at a slow pace if you are taking in the information and enjoying viewing plants that may otherwise have required arduous mountain hikes in various locations to discover! 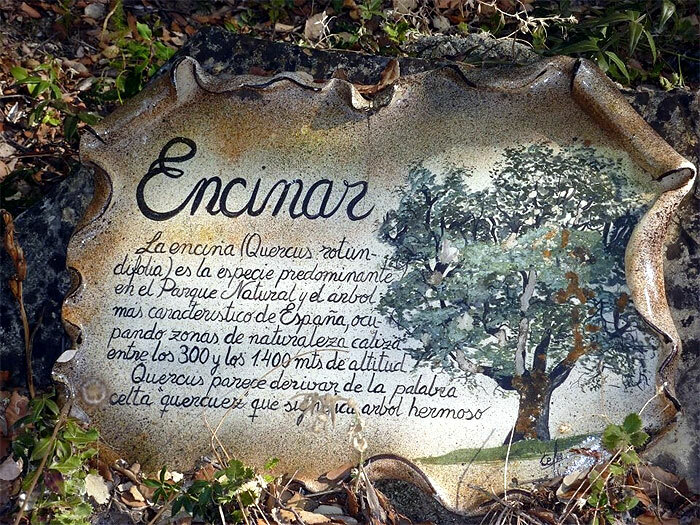 Clear signs divulge information on scientific plant names starting with the plant’s family the common Spanish name and the scientific name with author. The text also explains the distribution range which may be European and widespread to locally endemic. Some bear a coloured dot which shows at a glance if it is in danger of extinction = Red, vulnerable = Yellow or of special interest = Orange. At various points there are also large plaques which carry more information for certain species. This garden is part of a network that intend to protect the most endangered, rare and ethno- botanically interesting plant species. It not only safe guards examples from the local Grazalema ( Cádiz ) and Ronda (Málaga) mountain ranges but also eastwards across to the Sierra de Loja (Granada) including El Torcal. A new section brings in plants from the Sierra Bermeja which is situated to the south, near the coast at Estepona . 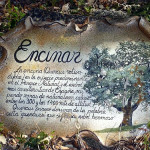 Because of the unusual rock in the Sierra Bermeja, 17 endemic species have developed which are displayed here. Previous PostMarch – Bird migration is in full swing. Wild narcissi, beginning of wildflowers and orchids, plus a growing selection of butterflies.Next PostFebruary – WINTER WALKING – Bonelli´s eagle and Griffon vultures nesting, start of bird migration, Spanish Ibex. Beginning of wild narcissi, almond blossom and first orchids (Giant orchid). Plus amphibians.